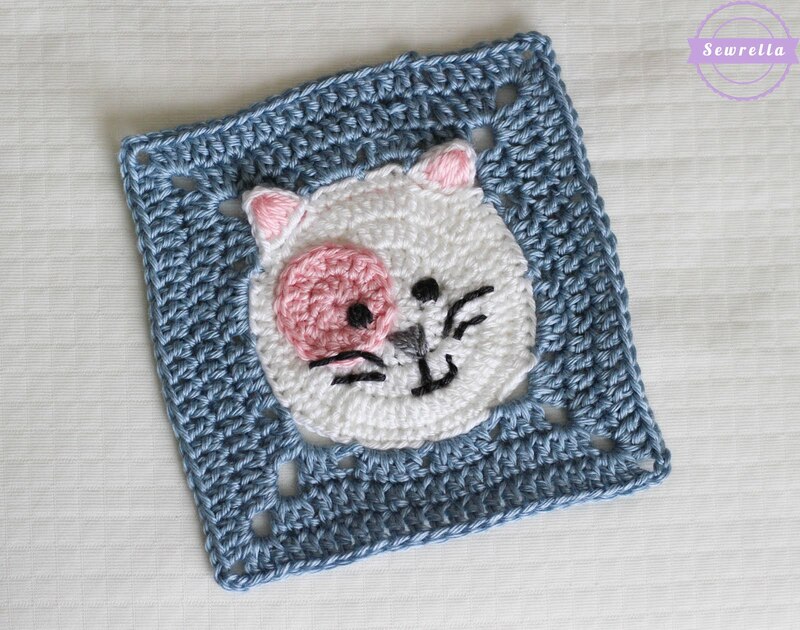 Today I have a super cute little kitty cat granny square pattern for you! 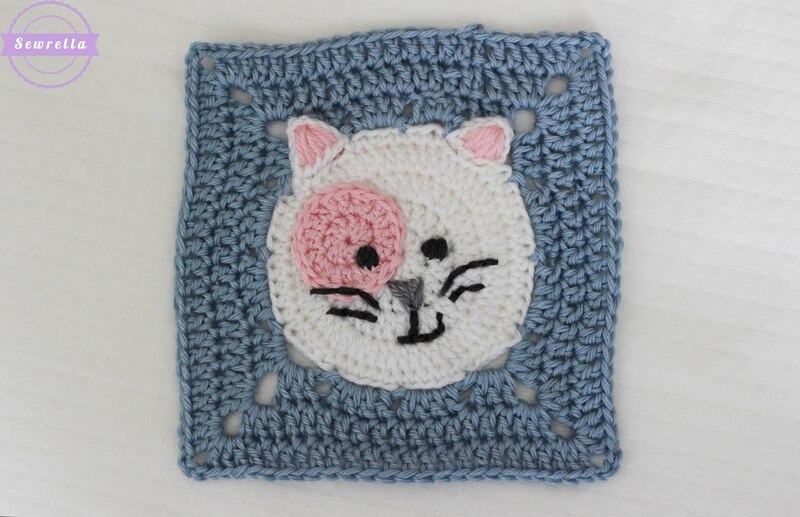 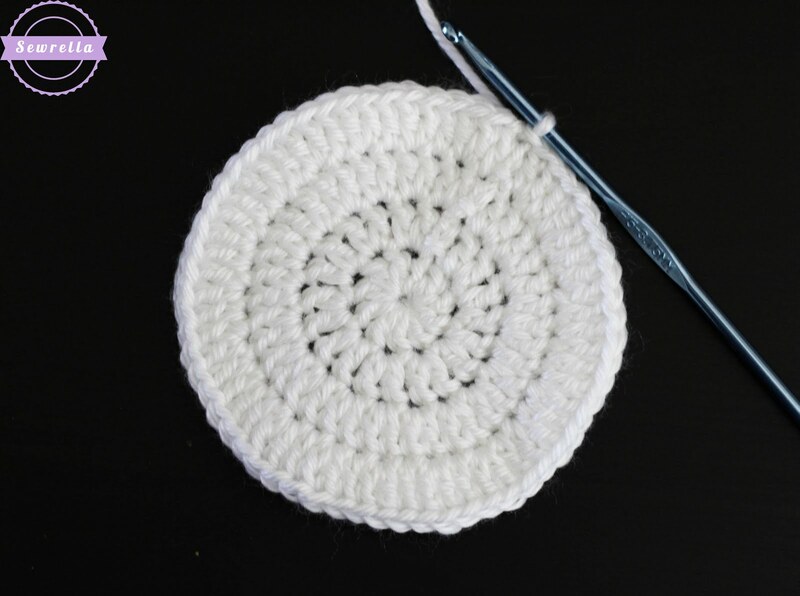 This is the fifth day of the Craft Yarn Council’s Anti-Boredom Month Granny Square Crochet-A-Long here on my blog & this kitty may be my favorite square yet! 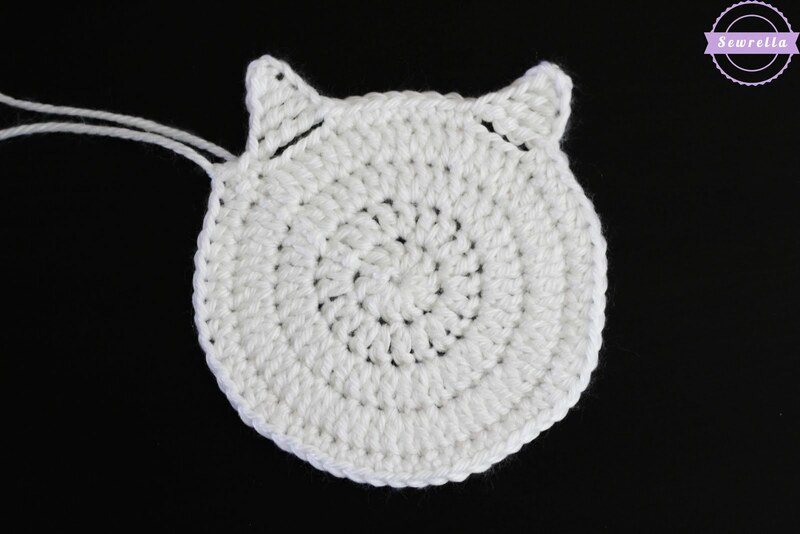 Play with the colors on this one and create all different kinds of kitties – your favorite cat lover will love it! 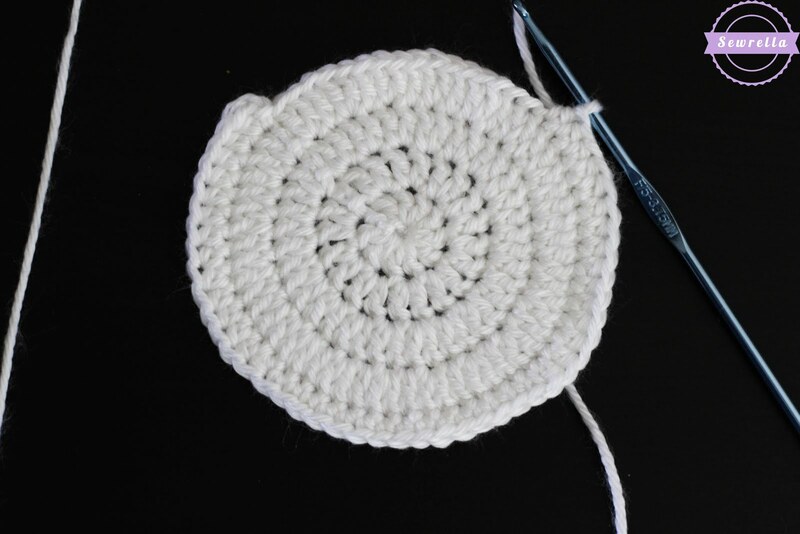 Size: 6 in. 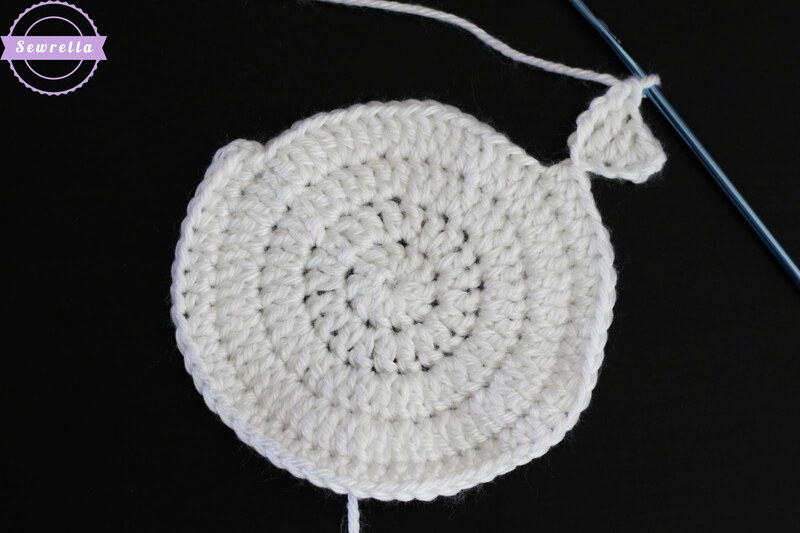 by 6 in. 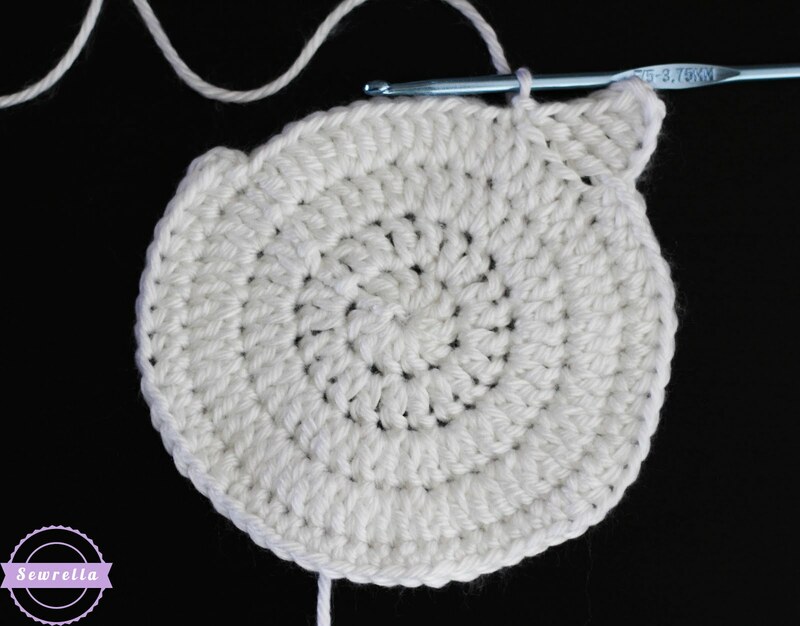 With Grey Heather and tapestry needle, embroider nose just on the edge of head round 1 using a running stitch. 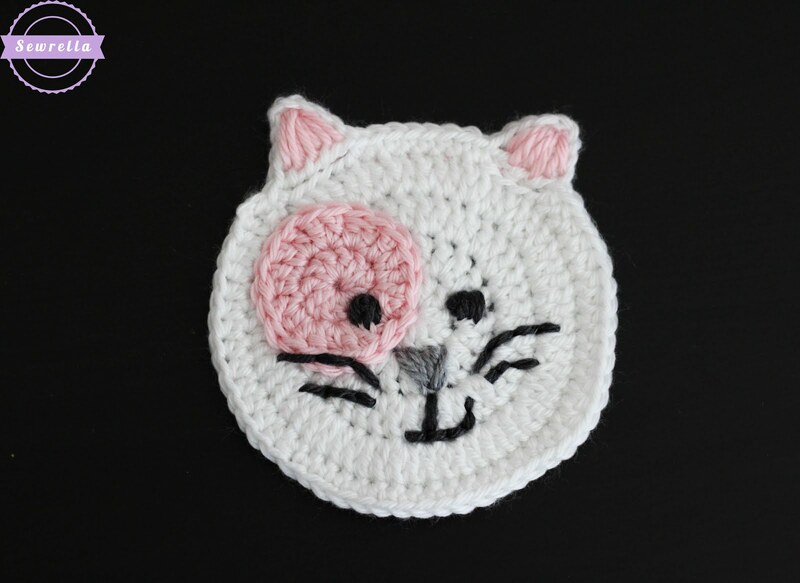 With Charcoal Heather, use a running stitch to embroider smile and whiskers. 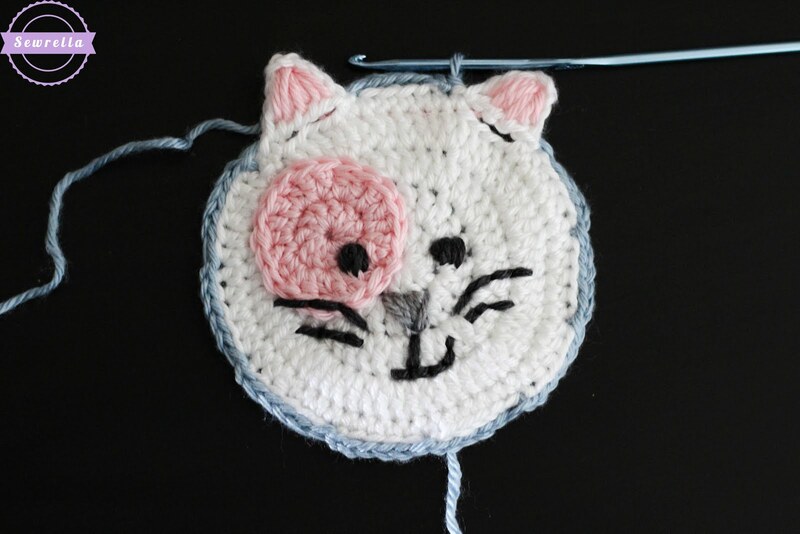 Double strand the yarn and sew French knots for the eyes. 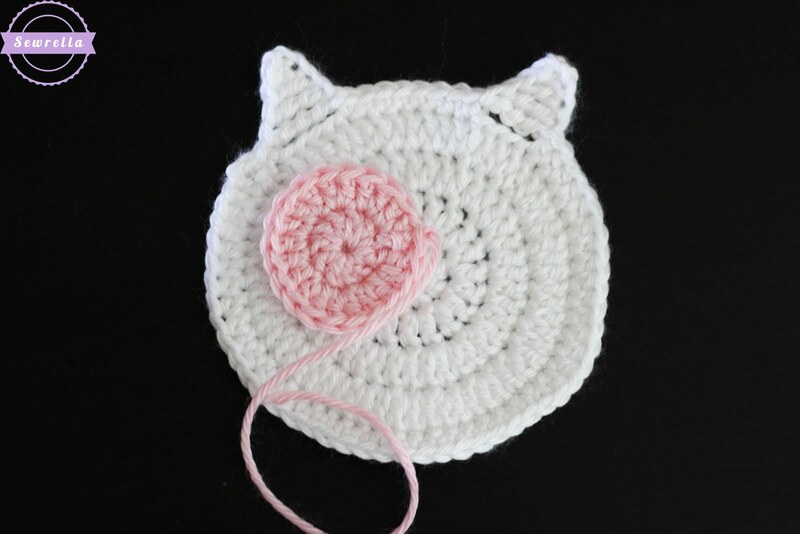 With Soft Pink, fill in the ears. 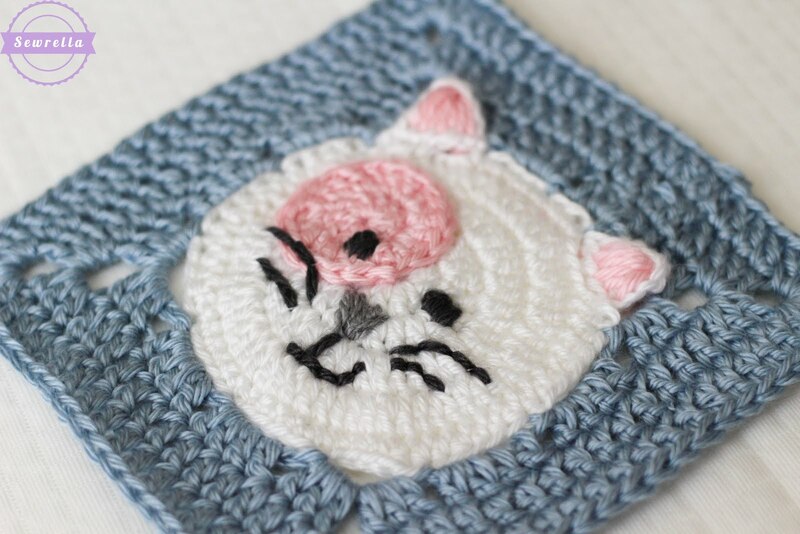 Go on and make a whole litter of these cute kitty cat squares!